Cold mornings, check. Historic architecture, check. French pastries and Italian pasta, check. 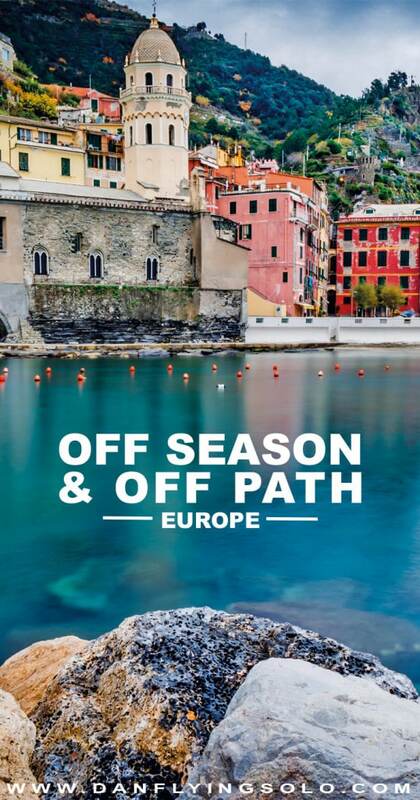 The offseason is the best time to visit Europe and pretend it is your own private playground. Whilst the famous cities of London and Paris never really lose the crowds, here are a few trade-offs I am sure you will fall in love that are (nearly) free from selfie stick attacks and queues long enough to be a flight time during the offseason. Exploring Europe is super easy thanks to both how close countries are, and also the Schengen zone making bus travel between cities sometimes the best routes at the most affordable prices. To hunt for timetables make use of the Omio app and website (formerly GoEuro) which allows you to search and book trains, buses and flights in Europe and is a great tool to help you plan, especially given there can be many different bus operators on each route. 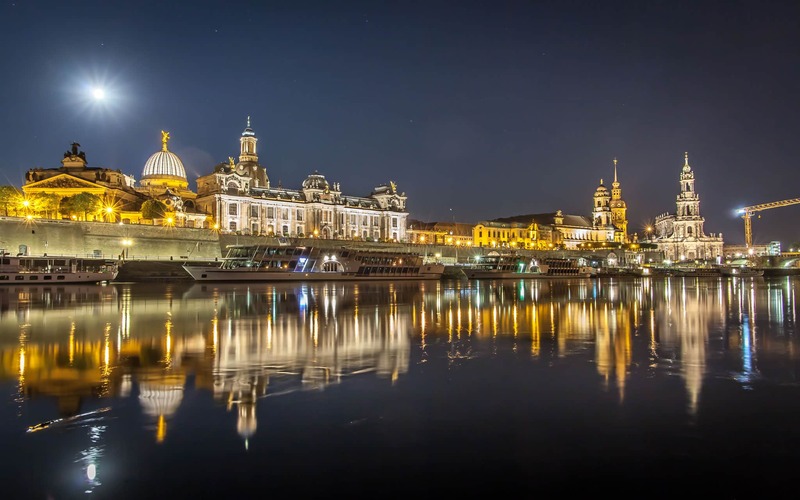 The capital city of the Saxony region, Dresden was a pleasant surprise. The city is compact enough to aimlessly explore on foot, and the grand Baroque architecture, which was restored (and in some case, is still being repaired) following the extensive damage of the war makes this a worthy European city break to rival some of the other grand cities in central Europe. Although it might not be as large as some of these other cities, the depth of arts, culinary creativity and the emerging street-art scene here make it a great long weekend destination. While the height of summer and the month bring in the crowds, Dresden doesn’t yet seem as discovered as Munich, Cologne and Berlin which means you can marvel at the architecture, enjoy your winter Gluhwein and get lost in countless galleries and museums without having to face an army of fellow tourists. Christmas in Saxony is on a whole other level, as you can watch on my video, with traditions, markets and festivities galore. Nowhere is that truer than in the Ore Mountains and Seiffen, an old mining town which is full of Christmas shops and has a long tradition of producing wooden toys. 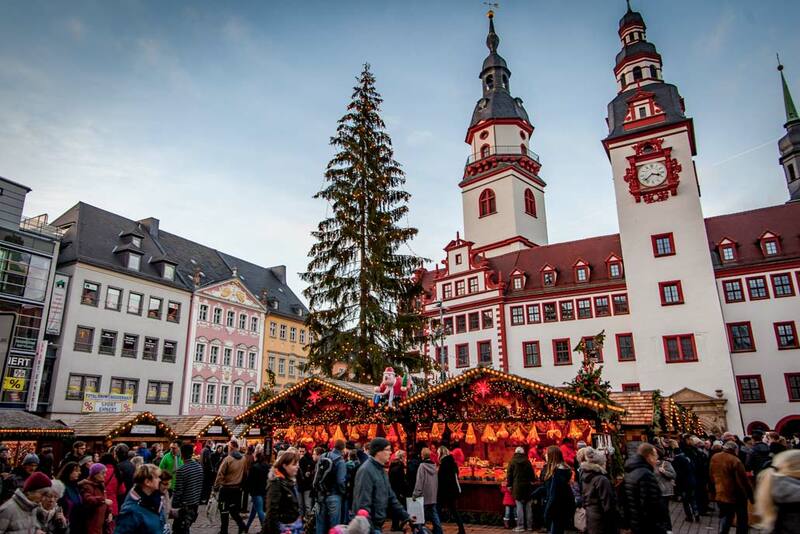 Whether you visit the Christmas markets, take part in old miners festive traditions such as feasts, parades or underground concerts in mines, a visit to Saxony in December will give you all the Christmas feels but without the crowds of say, Prague. 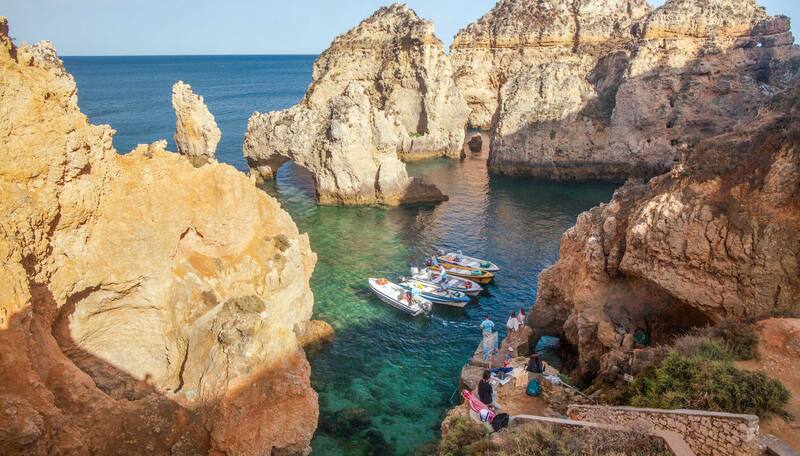 If your budget won’t stretch to tropical beaches (where with monsoons to battle with in the likes of Bali you’ll still end up wet) then Portugal’s Algarve Coast is your best bet. While there is no denying that winter sea swimming is reserved for the fearless, there is still some good surf and sun-kissed days to be had. With over 300 sunny days a year and heavily discounted prices outside summer, the off-season in the Algarve is a good gamble to get your winter Vitamin C.
Milan is a magical city and in the winter, when the crowds die down around the Duomo and the crisp winter air brings snow to the mountain peaks surrounding the city, it becomes even more special. Ignoring the truly special Christmas markets and lights that bring the city to light, the various regions of Milan with their outside heated tables or the old charms and warmth of the Osteria restaurants, tick all the right boxes. In a city where fashion rules supreme, shopping till you drop isn’t a bad idea in the colder months but thanks to a plethora of museums and galleries, you can easily escape the cold with a dose of culture. 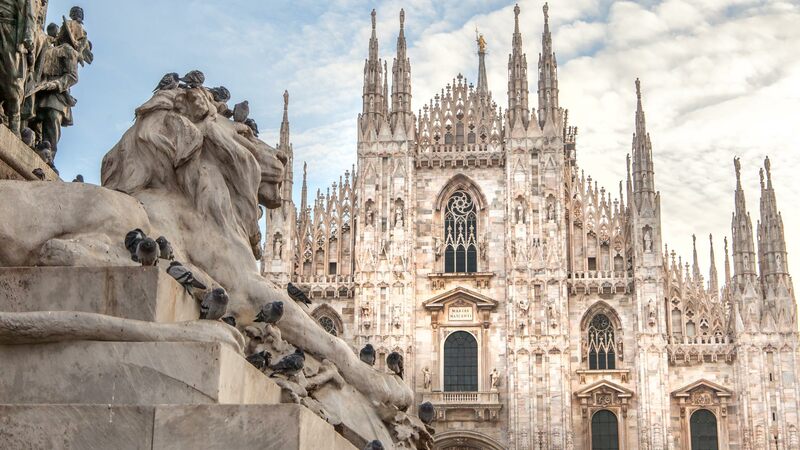 As the city is continually evolving and newer, modern districts such as CityLife pop up to complement the classics of Milan like its famed Gallerie, there are plenty of places to while away a long weekend. Catch an opera at the incredible Teatro Alla Scala, wrap up warm to explore the Castle, dip into the beautiful Brera public library or enjoy the modern art exhibitions at La Triennale. With plenty to keep you entertained inside, and the Milanese food being more heartwarming with its focuses on risottos and beef, it becomes an ideal winter destination. London is always hectic, it doesn’t really matter what time of year, but if you want a slice of historic architecture, red phone boxes and (chilly) fish and chips on the beach, you can’t go wrong with the South-West of England. 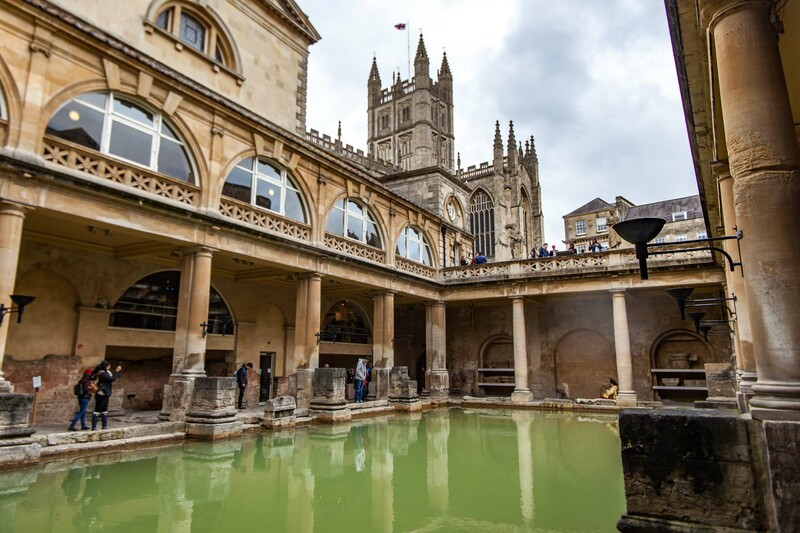 Take in the 150-million years of prehistoric history along the fossil infused Jurassic Coast, explore Exeter Cathedral in all its glory and check out the impressive architecture of the Roman Baths in Bath. Without the crowds to battle with and spending most of the time in cosy, fire-lit pubs and intricate architectural buildings will keep you warm and snug. I took a three-day Rabbies tour through England from London to discover the best sights without any hassle. A lot of people warned me against travelling to Icleand in winter and although it didn’t go perfectly, the money saved and snowy covered experiences were worth it. The northern lights hid the whole time sadly for me but seeing the country covered in snow, the incredible New Year celebrations, trekking glaciers, hunting waterfalls and snorkelling between two continents even in the cold are some of the best travel moments you can have. Iceland is the kind of place that looks different each season, so even between Autumn and Winter there is a considerable difference. When I headed to Cinque Terre in November I was in luck with clear blue skies and sunny days, although the temperature wasn’t exactly t-shirt weather. The huge bonus of visiting Cinque Terre in the off-season is the lack of crowds, jumping on the train between the five villages is never crowded and you can get the front row seats at cafes for the best colourful views of the villages. While some of the hiking paths may be closed and the busses far fewer, for me, it’s a no-brainer price to pay to enjoy the Liguria coastline without the crowds. A lot of people think the capital city of the UK is where it is at for New Year Eve… Wrong! The Scottish capital of Edinburgh is pretty magical over the festive season, with its markets and old world charm over Christmas right through to its very unique festival celebration. Hogmanay, the unique New Years celebration stats on the 30th December and runs through to the 1st January. It’s three days of events, Vikings, fireworks and celebration – found out more information here. 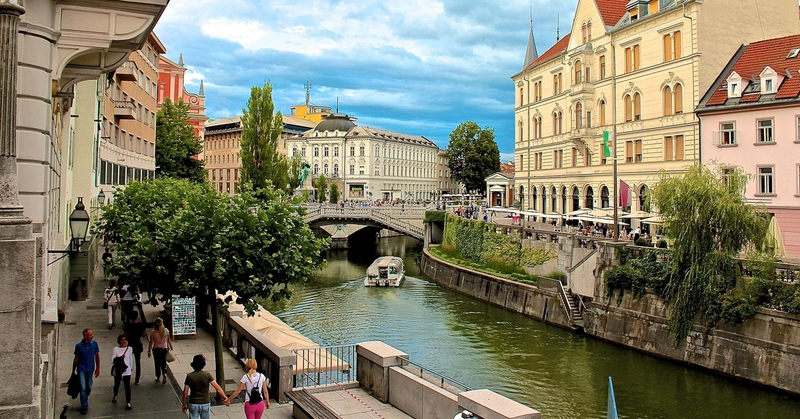 If you have a thing for Canals, coffee and quirky capital cities then skip out on Amsterdam this year and head to Ljubljana. Since I visited four years ago Slovenia has garnered a heap of online attention but trust me, Europe’s cutest capital city is the ideal winter escape. With a growing wine scene, plenty of canal-side dining options, great winter markets and a really eco-conscious vibe throughout the country, it’s the perfect jumping off point to see Lake Bled which looks simply magical against the snowy mountain backdrop. Read: Ljubljana, Europes cutest capital city? 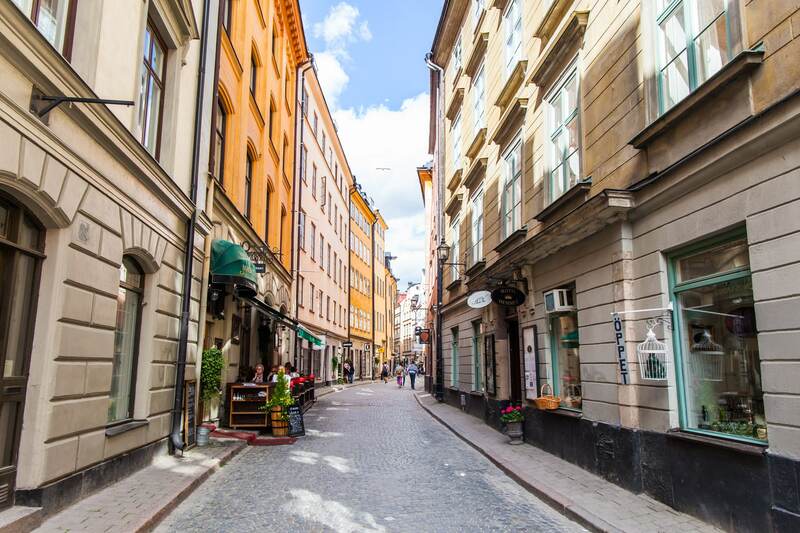 By far my favourite capital-city in Scandinavia, Stockholm is a dream in summer when kayaking or cycling through the city is a great way to explore. But thanks to its characterful old-town, year-round events calendar and slightly lower prices in the off-season, its a great city escape all year round. The Christmas Markets here are ace but there are also lots of things to discover inside, the Vasa Museum, complete with the famed ship that sunk minutes after setting sail. The subway system in Stockholm is also one of the most decorated in the world, with numerous stations being complete artworks you barely need to venture outside into the cold. 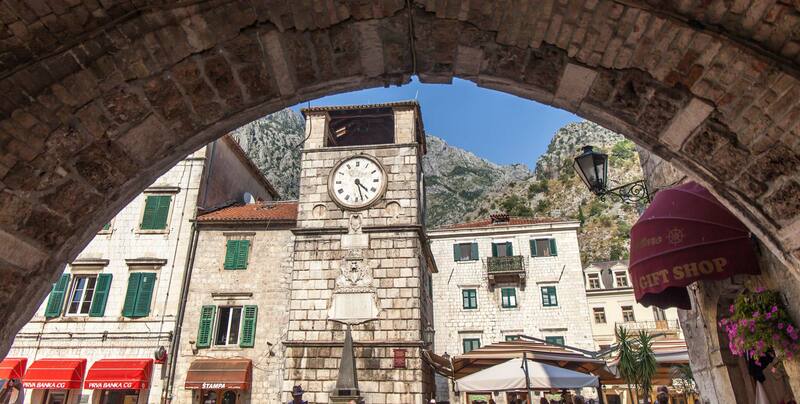 During summer the old town of Kotor is over-run with tourist, as cruise day-trippers explore this magical city which is set against the spectacular backdrop of the Bay of Kotor, with its towering mountains. Venture here in the down season though and you can not only bag a great deal at an AirBnB but you can also enjoy the sights with fewer people in your beautiful photos. The hike to the view-point above the old town provides the best views but with the summer sun, it’s a strain, another bonus reason for visiting in late autumn or winter. One of my favourite winter trips was when I carted my parents off to Warsaw one freezing-cold January day. There are a few reasons I loved visiting Warsaw in winter; it’s cheap, it’s festive and it feels like a fairytale. As most of the old city was rebuilt in its original style after the war, the colourful buildings look postcard perfect against the Christmas decoration and winter projections on the facades. The snow also makes some of the quite harsh Soviet architecture look a little more inviting. Big mugs of beer, hearty Polish cuisine, great value flights and accommodation all make it an awesome winter city break in Europe. 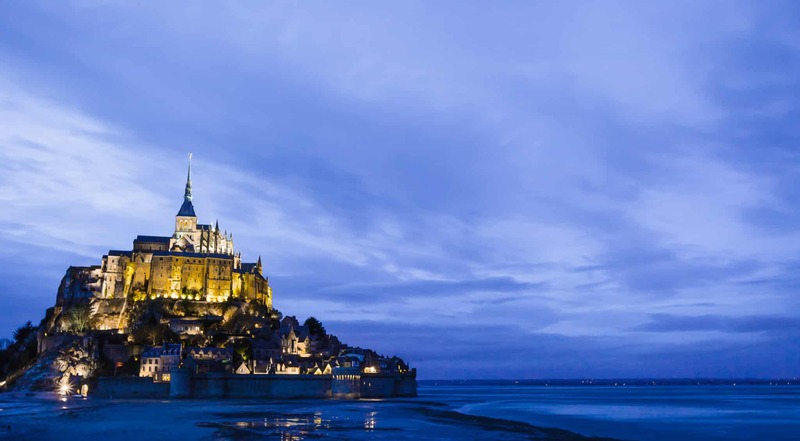 The city of Romance is never known for being quiet no matter what time of year it is, but this Abbey Island enjoys its most peaceful time to visit during the winter months. The former converted Prison in Normandy receives over three million visitors a year so hitting it up outside of the summer means the small narrow streets and little creperies are much easier explored without having to shove your way to the perfect vantage point. 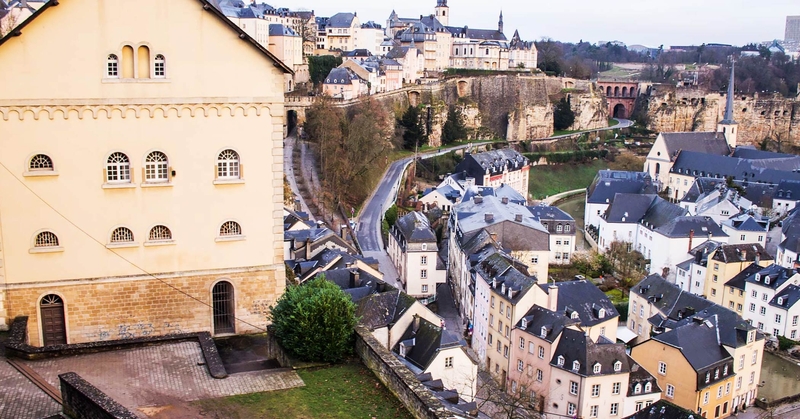 I swear Luxembourg does not get the attention it deserves. I used to think of it as a sterile, business, financial haven but the ramparts, vistas and a multi-level split of the old town had me heading back for two February visits. If they ever need a new location for a Harry Potter shoot then this needs to make the cut. It isn’t the cheapest place to visit in Europe for sure, but heading here before summer kicks in should save you a fair bit of dollar. It’s also a pretty romantic spot to spend Valentines day thanks to the old architecture and chateau-converted restaurants. Got any other ideas for great winter weekends in Europe? Pin it for your winter travel planning. Great list! I love Europe in the winter because of all the Christmas markets! Beautiful places to visit, so many of them still on my bucket list! Hey Dan, felt like sharing my thoughts so came down here. I read your blog and am amazed to say this but your write ups are really relatable with me as I am a true travel enthusiast. I have a lot of interest in writing travel blogs myself and I have a small blog of my own. I would love to get some useful tips from you on this subject. Thanks for this blog Dan. Great choices! I loved Luxembourg! I think it is a country more people should stop by when touring western Europe. I love this list! Barcelona, Spain is also a great destination during autumn and winter! It never gets really cold, and there are not as many tourists around as other times of the year! Barcelona is so much more than just the beach, and in winter it’s a great opportunity to see everything that’s beautiful and interesting about it. Hi Dan! Nice photos you have here actually, really makes me wonder and daydream going there. Anyways, have you tried traveling in Asia? I would love to hear how are you gonna enjoy it. All beautiful places across the Europe to plan and visit in winter, especially most useful information for someone who plan the vacation and the travelers to add these places in to checklist. A stupendous photography. Thanks for sharing! A very good collection of places and holiday spots throughout the Europe. A best travel and destination guide for the visitor around the world. Thanks for sharing! Super suggestions! Autumn and winter in Europe is looking beautiful this year and with so many Christmas markets this is great for shortlisting some of the best ones. I hear that Germany especially is famous for the Christmas markets so it’s great that you included it here. Let’s just hope winter isn’t as cold as summer was hot because otherwise we’ll all need a lot more layers! Reading about your suggestions for Europe in the winter makes me long for the open road. Every snapshot on this post is supremely beautiful, inspiring the imagination. Great job! I hope to one day add a section on travel to Japan, (My drean destination since I was a kid) and I was wondering if you had any tips for writing while abroad? I’m a scatterbrain so I carry a small journal in my bag, but a lot of times I get so swept up in excitement I forget to write important things down (and take pictures!). How do you keep up? Thanks from a friend in adventure! The photography is stunning! I have been to a few of those places but never in autumn/winter. It looks beautiful and I would love to go. Couldn’t agree more. Traveling during the off-season is so underrated. Like you, my wife and I visited the Cinque Terre in the fall (October) and enjoyed beautiful weather and practically no crowds. 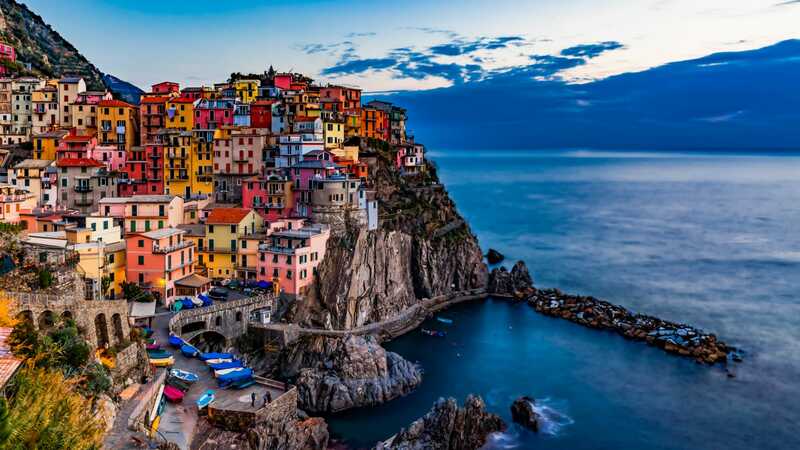 Your photo of Manarola is stunning by the way! Great idea traveling to Europe in the off season! Don’t know why something so obvious never came to my mind before. Thanks for the great information. Thanks for this very informative post, Dan! We always wanted to visit Europe but have not decided on which season to travel. After reading through your article, we may just come and visit Europe in the winter and see the wonderful places you mentioend here. We just hope it won’t get too cold by then! Awesome places to explore. I would like to suggest it to my friends so that we can plan a trip and take a time for ourselves in this busy schedule. Keep posting such wonderful places. Very well written post it is! I’ve been looking into going for a one weeks trip to Europe in coming December with family and in this regard you gave me lots of thought for travel destinations in Europe. Many of the destinations I like to visit. Thanks for great sharing with us. Thanks, have an amazing time in Europe! I would return to Cinque Terre anytime. I loved it so much here! A little more up north Camogli was an amazing surprise and to this day one of my favorite places! Yo Dan, there are some epic places around Europe. Europe is a wonderful place filled with lots of adventure, I have taken your suggestions into consideration and will plan my earliest visit to them. I would stick to the South of Europe for winter, but that’s just my preference :D I once spent a New Year’s in Florence and had a time of my life! Such a cool vibe that time of year, not too crowded at all and it didn’t feel touristy. Travelling off season is always a way to go ! Everything is cheaper and there’s no big crowd… but on the flipside it’s less sunny and warm. Such a beautiful places!! What is changed in your life after the long travel?? We do agree that Europe is a great place to visit during winter, but we do think that Sapporo, Japan is also one of the perfect winter destinations.The mountains around Sapporo, Japan has the lightest, fluffiest powder snow you will ever experience. If you are into ski sports, you definitely must ski in Japan! Korcula is in the Adriatic Sea, not “the Med”. Thank you so much Angela. Wheres next for you in Europe? the French Riviera is so stunning. I really want to just get a car and explore it all one Spring really slowly and with lots of amazing food so thanks for the tips 🙂 do you plan on visiting again sometime soon? Hi Dan, I was planning on visiting the French Riviera again on my way to Italy, specifically Cinque Terre ;-) either spring of 2017 or summer. It truly is stunning has has so many AMAZING medieval villages on top of the hills facing the French Riviera and only about 20min from it! Love this! There is still so many places in Europe that I haven’t seen, especially in winter. I’ve just been to Iceland and it has absolutely blown my mind. I definitely want to return and explore this stunning place in the winter though. I may be late to the party, but I just spent Dec 2015 through May in the south of France, Côté d’Azur and fell in-love with the area, specifically the village of Saint Paul de Vence with its many art galleries, restaurants, magical forest and gorgeous views of the French Riviera, not to mention the stunning blue sky. I don’t think I’ve ever seen the sky so blue, as when I was there and I live in Hawaii. It’s no wonder it was one of Piccaso’s favorite places to frequent. You may have visited already, but it’s only 20min from Nice, up in the mountains. Winter was beautiful there, but Spring is probably the best time to go. They even have a restaurant Picasso use to frequent, that has been passed down generations within the same family who’s original owners were friends of Picasso and the restaurant has some of his original paintings hanging from their walls. I’m looking to go back to visit next year. Made a lot of friends in that area and it now feels like another home for me. the French Riviera is so stunning. I really want to just get a car and explore it all one Spring really slowly and with lots of amazing food so thanks for the tips :) do you plan on visiting again sometime soon? I have to disagree in regards to Korcula. We were there in the off season (September) and while it was stunning, everything was closed. EVERYTHING. Korcula city was a ghost town and we ran out of things to do after our first day. Dubrovnik in the fall on the other hand, was amazing. 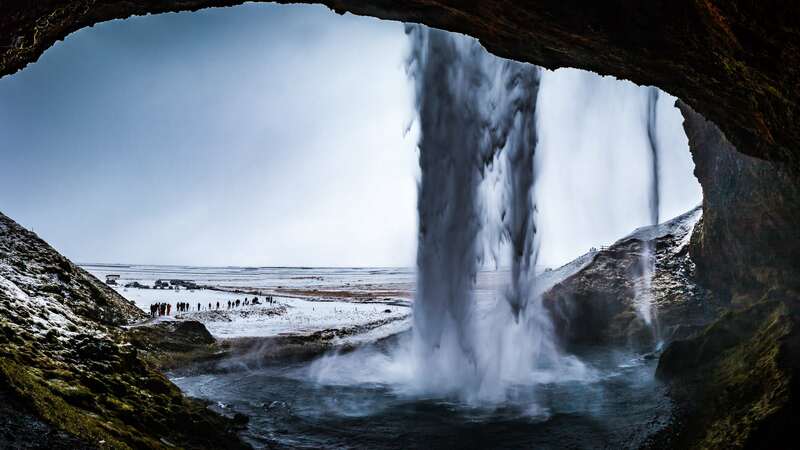 Great suggestions – definitely agree with Iceland! I’ve been twice and still don’t think I’ve seen enough of it. Such a magical place! Interesting picks! I did love Budapest, though I visited in July. :-) Visiting Krakow and Amsterdam in a few weeks, so will let you know on them! Try Cesky Krumlov in the Czech Republic. About an hour southish on the train from Prague. Small medieval town with an unusual bridge. This post was awesome. Just what I was looking for. My wife and I are wanting to plan a trip to EU, but we would like to do it while avoiding the crowds/tourists. I’m so excited for you. I would always recommend missing summer and doing Spring/Autumn – less people and I find it much more beautiful! 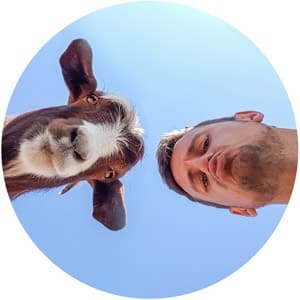 Pretty great freaking post with some sweet alternatives man. Amazing pics as well! You should try Bergen, Norway! Maybe next year? Some great suggestions here, except Belgrade for Budapest. Belgrade has a long way to go before it gets anywhere close to being as interesting as Budapest. Love your photos, btw. Thank you so much. I think I need to give Budapest another chance, I found it seriously boring but the weather was really poor… That said, in Belgrade I met some awesome locals on the flight over who showed me a great time so that might have helped sway my decision. Safe travels! I think you visited a lot of cities in the wrong season-winter! I’ve done the same though, been to a place and thought “not all that” bc it was cold and wintry but when the sun came out the next day….! Iceland was the most magical place I’ve been to, did you know they have 12 santa’s? One for each day leading to Christmas! I loved Ljubljana too and Kutna Hora, the bone church was the most creepy but cool structure i’ve seen, I kept thinking if there was a lot ghosts around when I went in! I went to Berlin one year for xmas, and it was fairly quiet, and if you take a trip to Potsdam just outside of it, its beautiful too. Yes please with a side of yes! Totally agree on Kutna Hora, Korčula, Belgrade and Ljubljana… And sure I would on the others on the list if I’d been to them! I like your style! Serbia is somewhere I would love to spend a lot of time exploring, sadly only had a city break there. I taught Study Abroad in Florence for six weeks in 2014. I traveled around Italy every weekend and then for two weeks after it was over. We took several trips outside of Florence with the students as well. I was told over and over to not bother with Milan. I did visit Lake Como and loved it but it was very crowded. Enjoying your blog.